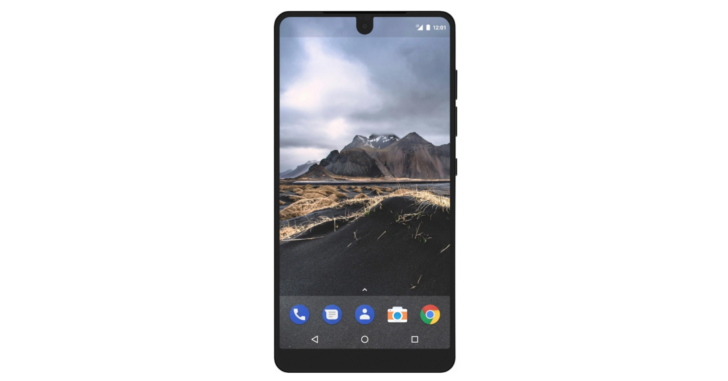 Essential hasn't been doing great with deadlines on its new PH-1 smartphone, with its promised 30-day shipping period being missed and a statement some weeks after that claiming that the phone would be available "in a few weeks." Well, a few weeks have passed, and it looks like pre-orderers are getting their shiny new Snapdragon 835-powered, ceramic-backed phones very soon. 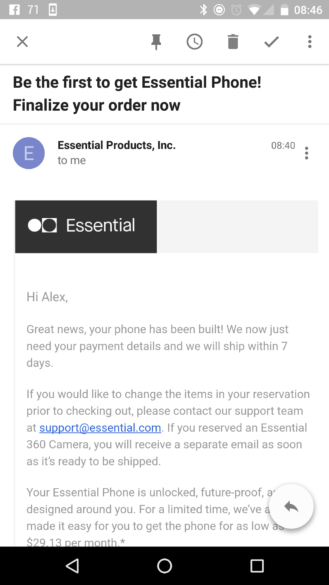 After payment is received, Essential will apparently send your phone out within seven days. The Essential 360 camera still doesn't look to be ready, but another email will be sent when it is. That seven-day figure sounds nice on paper, but so did that 30-day shipping deadline. Rubin did promise an update on release for "next week" on August 9th, which means we are set to hear something very soon. In case you've forgotten, the PH-1 features a titanium frame and ceramic back, a 5.7" 1440p IPS display, a Snapdragon 835, 4GB of RAM, 128GB of storage with no microSD expansion, dual 13MP rear-facing cameras, an 8MP selfie cam, a 3040mAh battery, and Android 7.1 Nougat. These are some pretty impressive specs - let's just hope that they're not outdated by the time the phone does ship.